Our team recently posted a response to the ‘Computer Skeptic’ after he wrote an article full of baseless false claims about our products. That response seems to have made it’s way to him, leading to a follow-up post on his website. We had hoped the ‘Computer Skeptic’ would have shown an interest in testing PC Matic or at least made an attempt to initiate a dialogue around points he clearly doesn’t understand. Unfortunately, he is satisfied with providing his audience with inaccurate and incomplete information. There are a lot of false claims in this paragraph, but the most important one is PC Matic, nor any PC Pitstop product have ever claimed someone had a non-existent virus that needed removal. As members of the AMTSO, a certified Microsoft security product, and having security at our forefront, we take it very seriously. In addition, even after a free PC Matic scan the user is presented with an overall report on their machine. Each category gives detail on what was found and what we would recommend as a change or optimization for their machine (See below). You can continue through automatic changes with a purchase, or uninstall the software. There’s nothing scary about it. PC Matic has failed almost every Virus Bulletin test we have participated in because we don’t tailor our product to receive a certification. We work to provide the best security possible. Virus Bulletin’s rules state that if a product gets even one false positive in testing; they fail. With our product having a whitelist based approach we’ll always have a small number of false positives, we’ve tested around a .0027% false positive rate, but with that, we provide much better security. That’s why we were able to set records, over and over again for prevention of new malware and ransomware with Virus Bulletin. This means that in Virus Bulletin’s testing, PC Matic was able to protect the device from the most malware. We prevented up to 99.99% of malware and at points blocked almost 20% more malicious applications than competitors. We still failed certification for having more than zero false positives, while competitors received certification even though they missed thousands of malware samples. So yes, we failed the certification, and we’d do it again. But we look at it as a lose the battle, win the war type situation and would take minor false positives in exchange for better security. ‘Computer Skeptic’ has something correct here, almost anyone could write a solution that is 100% effective because it blocks everything. The flaw here is that no one would use it. That’s not feasible for the average computer user to deploy and manage at all. Which is where PC Matic is different. We maintain a global whitelist of trusted applications and continue to update that on a minute-by-minute basis to make sure as much good software as possible is easily allowed to run. 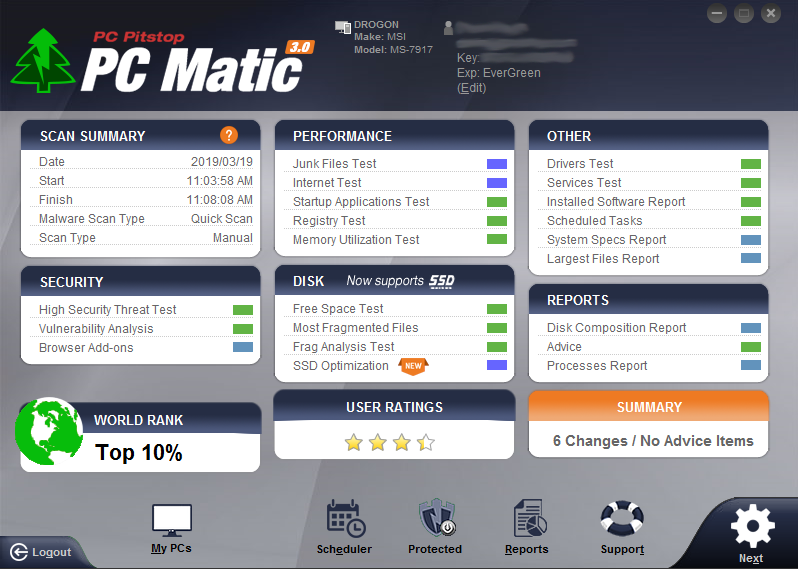 The typical computer user can install and use PC Matic without ever seeing a false positive come up. 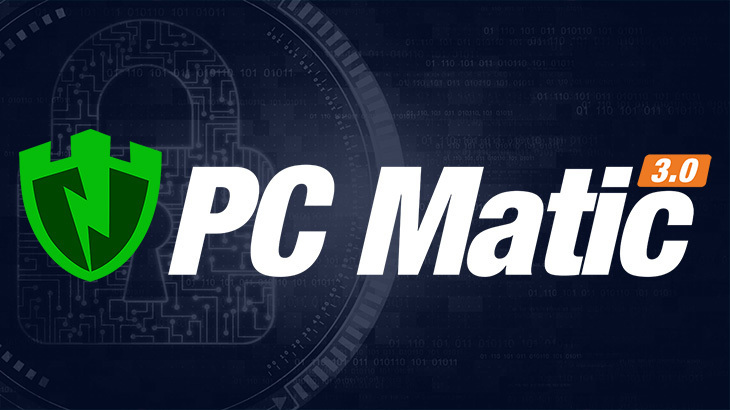 PC Matic’s unique approach allows our customers, that may not be tech-savvy, to apply a security approach on their device that’s recommended by experts across the industry. From the NSA to Homeland Security and US-CERT, today’s security experts recognize that a whitelist based approach is critical to stay secure. The ‘Computer Skeptic’s’ focus is on an out-of-date approach to security using blacklisting. Today’s threats demand more of security products than blacklisting can provide, and the experts clearly agree with us. Yes, we have done commissioned tests with AV-Comparatives in the past to put PC Matic head to head with other companies that don’t typically want their products tested. We wanted to get a sense of how we compare to a lot of other players in the space. Commissioned tests happen all the time. PC Matic has participated in a very wide range of malware testing that is available below. We believe that third-party testing can be a critical resource to show how effective products are, and always look to have current results for our product. I’d encourage you to check out results from AV-Test. The most recent test was just released a few weeks ago and again puts our product in the top for protection and performance against the other major antivirus players. We did not commission this test or have any say in who is included in it. We welcome the ‘Computer Skeptic’ to actually test out PC Matic to better understand it and share his honest findings; his audience deserves a complete and accurate evaluation. He can reach out to our team to discuss more. As an IT professional, I have been an advocate for your product to all the less technical people I know. It doesn’t block some of the normal traffic that a lot of other antivirus products with default settings do. It also blocks all of the nefarious software and keeps them from asking me for help continuously to fix adware and malware problems. Keep up the good work. I think the naysayers are just not happy you are taking business from their historical favorite. This is the future of antivirus.